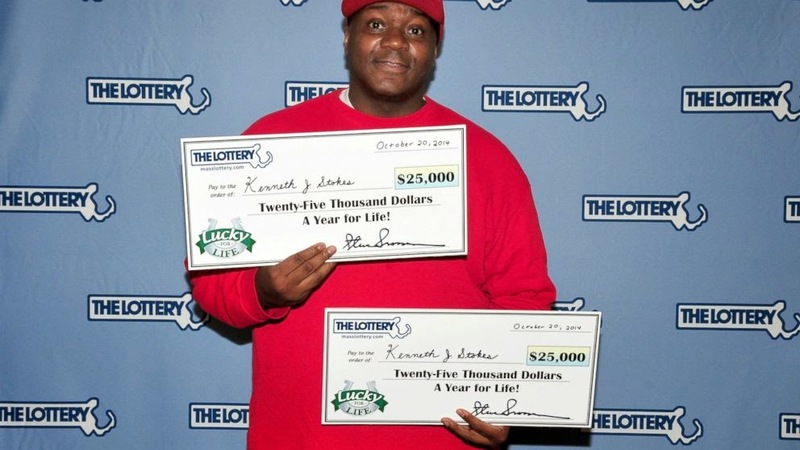 Kenneth J. Stokes is one of those people with overflowing luck, and in this case, he had the help of his family too. Beating very high odds of such a thing happening, the family man who is from Norwood Massachussets, had two tickets with the same exact winning numbers! First his family gifted him a season pass to the Massachusetts State Lottery Lucky for Life drawing with their lucky numbers, which is their birthdays. Forgetting about the gifted ticket, Stokes bought a second ticket with the exact same numbers the day before the drawing which was on Monday. “The representative called the individual who was the owner of the season ticket and informed him of that and then he was obviously elated to find out that he had won on that ticket,” Massachusetts State Lottery director of communications Christian Teja told ABC News. “They hung up and he realized that he had purchased the same ticket on his own for that same drawing. During the phone call when they had spoken, the representative had mentioned there was another winner form Norwood. Stokes brought in his winning tickets on Thursday morning to collect his prize. He had won $25,000 a year for up to 20 years, which equals a $500,000 maximum. Stokes opted for a one-time cash option payment, which brought the prize down to $390,000 pre-tax, or $273,000 after tax. For Stokes, however, his winnings were doubled to $546,000.